The duties of a State Trial Lawyer are typically mandated by law. They represent the state in criminal trials and also help conduct discovery and plea bargaining. The Washington State trial lawyer will also attend the trial on your behalf. What is a Washington State Trial Lawyer? The Washington State Association for Justice is a trade association that consists of over 2600 attorneys. They were formed in 1953 and have since aimed at protecting and promoting a fair justice system. They also promote the right to trial by jury. Finally, they also ensure that any injured party due to negligence can obtain justice in the courtroom. Strong Washington State trial lawyers, like those found at Peterson Law Offices, help preserve the rights of people who need to bring their complaints to court. They uphold the law by representing those who seek justice for personal injury claims, wrongful death suits, and more. Trial lawyers need to be aware of changing laws in their states in order to give their clients optimum service. A trial lawyer can usually argue both civil and criminal law in a Washington courtroom. Tort law is one of the most common bodies of civil law in regard to personal injury resulting from negligence. Simply stated, tort law is a civil wrong that has caused someone to suffer a loss, harm, or injury because of the liability of the person who committed the act. The person who committed the act is also known as a tortfeasor. Tort law consists of three different elements. First, the plaintiff must prove the legal duty of the defendant. Second, the plaintiff must prove a breach of said legal duty. Finally, the plaintiff must be able to prove the injury or loss sustained due to the breach of duty. Tort combines both common law principles and legislative enactments. Actions as a result of tort law are not dependent on any agreements between the involved parties. Tortfeasors also will not be subjected to any fines or incarceration. If you have been involved in a car accident and it is scheduled to go to trial, then an experienced state trial lawyer will be able to help you. 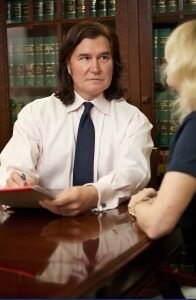 The state trial lawyer will be there to represent you in all legal proceedings. While most personal injury cases, such as car accidents, settle outside of court, a few will need to be resolved in court. The rules that govern court proceedings vary from state to state. The Washington State trial lawyer representing you will be able to depict a more accurate picture of the proceedings and what will happen. First, a jury will be selected for the case. Then the opening statements will be made. The attorney of the plaintiff is usually the first to give their opening statement. After both sides have said their opening statements, evidence will then be presented. The evidence is introduced to help the plaintiff with the burden of proof. If there were any witnesses to the car accident, for example, they would be called to testify about what they witnessed. The defendants will also have their chance to present any evidence they have collected. They will also have the opportunity to call their own witnesses. After all evidence has been introduced and discussed, the closing arguments can then be made. It is the last opportunity the attorney has to plead their case for the client. Then the jury will begin to deliberate. In Washington, as well as every other state, the jury deliberations remain confidential. Once they have reached a verdict, they go back to the courtroom and read their verdict. The verdict is then included in the official court records pertaining to the case. An experienced trial lawyer will have been able to present all the needed evidence and would have had the opportunity to build a strong case in your favor. While a verdict may have been reached and it is in favor of the plaintiff, collecting the compensation is another challenge best left to the attorney. There are varying time lengths involved when the damages are ordered by the court during a trial. It could take several weeks to even months before anything is paid out to the plaintiff. The trial lawyer is familiar with the time constraints and deadlines for Washington and will be able to assist you in collecting. If a settlement was reached prior to a trial, then the time restraints are a bit different. An injury settlement is determined before a trial and can be reached at any time. The time period for a settlement is approximately one month. If not paid by the specified time, then interest may be added to the total amount. If you’ve been injured in a car accident or through the recklessness of another person, contact Peterson Law Offices. For many years, we’ve handled numerous claims from personal injury victims from all walks of life. We also represent wrongful death lawsuits and injuries resulting from dog attacks. We’ll negotiate with the insurance companies on your behalf to help you get the compensation you deserve for your injuries. If we can’t reach a settlement, then we’ll be happy to represent you in court. The satisfaction of our clients is our highest priority. All of your phone calls to our office will be returned promptly, and we’ll strive to keep you up to date on the progress of your case. While we treat our clients with courtesy, we’re not afraid to play hardball with insurance companies to ensure you get the fairest settlement possible. On the positive side, many personal injury claims are settled before they are ever brought to court. However, if your case needs to be brought before a judge and jury, you will want the peace of mind of knowing your case is in competent hands. Working with a lawyer at the Peterson Law Offices will help you rest assured you’re getting the best representation possible. Contact us today for a free consultation with attorney, Todd Peterson, about your case.